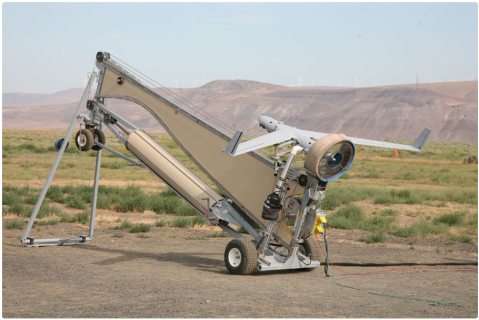 According to Andrew Duggan, Insitu’s commercial VP and general manager, the commercial effort builds on expertise the company has developed since providing ScanEagle UAVs to defence forces in Iraq since 2004. ‘There are other companies providing similar military services now, but we are moving this into the commercial space. If you are a mining or gas and oil company, you do not want to own the aircraft, you just want the data and how can we take some of the tools from [Boeing’s] AnalytX division and not just provide data but provide answers,’ Duggan said. Operators of large open-cut mines are increasingly looking to automation to improve efficiency and safety. Insitu has been working with an undisclosed mine operator in Queensland to look for safety issues such as landslides, but it is now taking that same data and applying algorithms to investigate different proactive safety aspects. The SQGC contract is similar to the above in that it crunches data, but it goes several steps further with increased levels of automation and providing even greater levels of cost savings. The SQGC has wellheads scattered over thousands of kilometres in an area the size of the UK, and using UAVs is a cheaper and more efficient option than manned aircraft or satellites. Insitu has been conducting site checks using ScanEagles for almost three years, doing it in a manual fashion, but it has graduated from that by working with Boeing to develop an automated checklist. The company is working on how it can further automate the process. Duggan described this as the ‘the second iteration’ of the service. It is still in the prototyping phase, but ‘results are promising’.